A remote small town in the north of Cambodia near the border with Thailand. 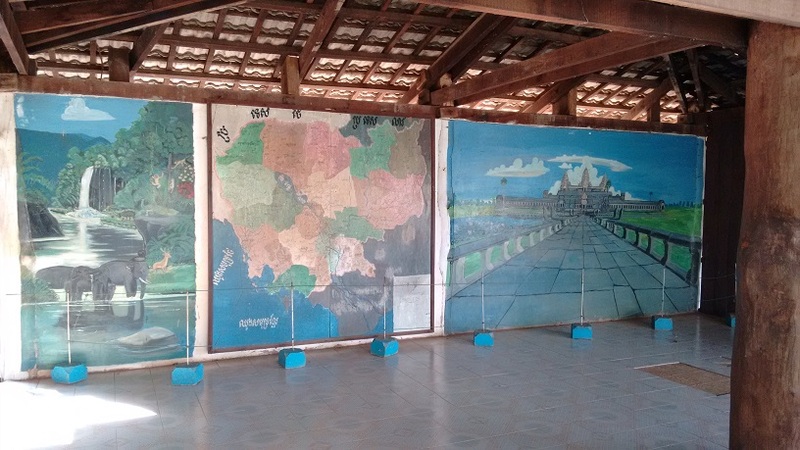 It was in this area that the notorious Khmer Rouge had their last stronghold until the late 1990s. Pol Pot died and was cremated near here. 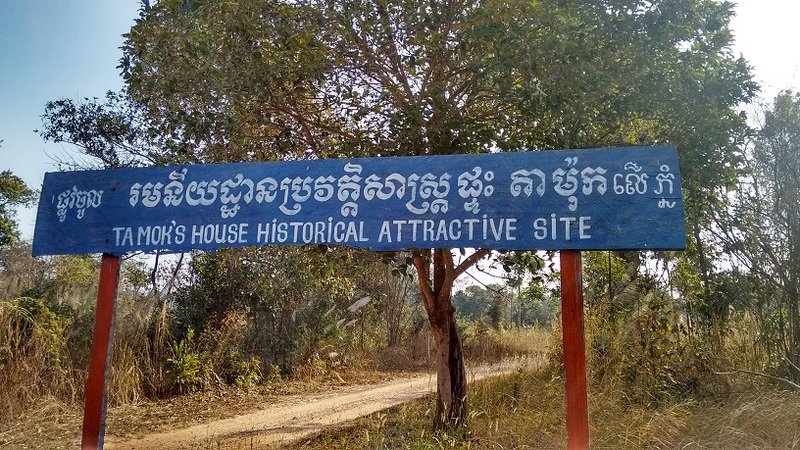 This site and that of Ta Mok's (the last leader of the Khmer Rouge) house can be visited, as well as a few other related spots. 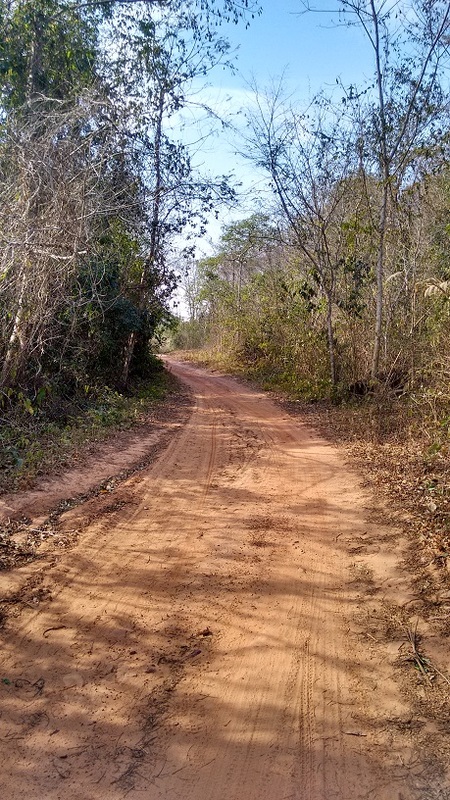 Note: the area around Anlong Veng is still heavily landmined – stay on the roads and tracks! More background info: After the Khmer Rouge were driven out of Phnom Penh and much of the southern half of Cambodia by the Vietnamese, Pol Pot and his comrades went into hiding in the north of the country from where they continued their guerrilla war. The area around Anlong Veng was their last stronghold. After the Khmer Rouge had lost their support (from China mainly, but also, indirectly, from the USA) and the rest of the country was slowly beginning to settle down a bit, the Khmer Rouge fell apart, Ta Mok, by then the strongest Khmer Rouge man (nicknamed "the butcher" due to the purges he had orchestrated) apparently agreed to hand over Pol Pot for trial. But before it could come to that Pol Pot died, allegedly of heart failure, but there were suspicions that he may either have committed suicide (maybe he was made to) or was killed while in Ta Mok's custody. In any case, Pol Pot's body was hurriedly cremated on a pile of old tyres. Ta Mok was later captured and imprisoned in Phnom Penh. As so often, he didn't make it to trial either. He died of natural causes in custody in Phnom Penh in 2006 – too early for the crimes against humanity trials that are now under way. So another big shot of the genocidal devils of the age escaped unpunished. Anlong Veng has slowly recovered from its grim past and now even derives a little (dark!) tourism out of its legacy. Unfortunately I didn't manage to get to Anlong Veng myself when I was on an extensive trip of South-East Asia several years ago (in fact I only found out about this place after my return home). But see below for a recent report by a reader who has been there, on a motorbike trip in early 2016. What there is to see: not all that much – but it's so exotic and remote that it adds to the historical attraction. 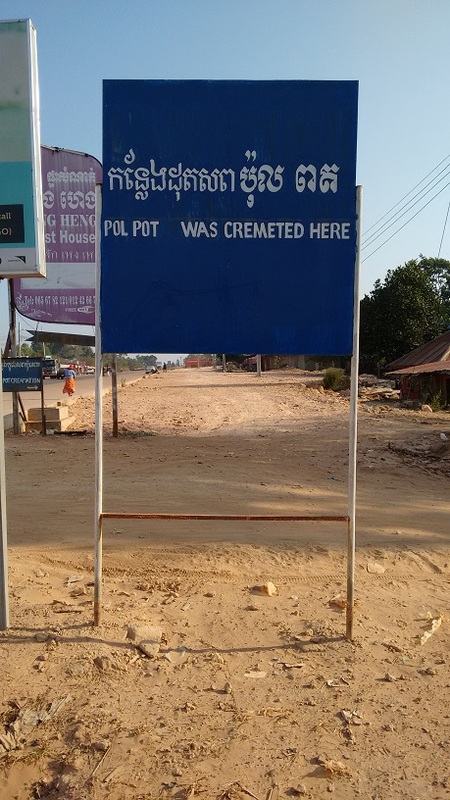 The site of Pol Pot's cremation, up in the hills above Anlong Veng proper, just before the border with Thailand, is probably the main port of call for the few tourists who make it here. 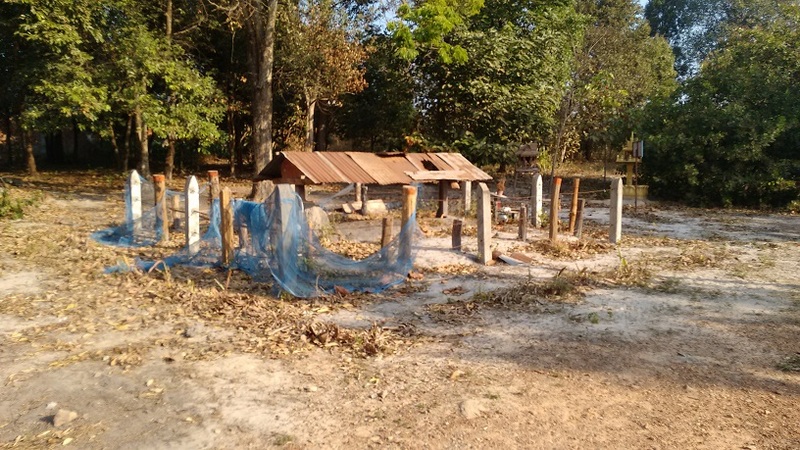 It's not much to look at, but is now protected by a roof, a Ministry of Tourism sign has been erected, and what apparently is a kind of shrine, put there by some wealthy person who claimed he owed his lottery luck to Pol Pot … (it IS a strange country). Nearby some ruins of Pol Pot's house can also be seen but look far from spectacular. 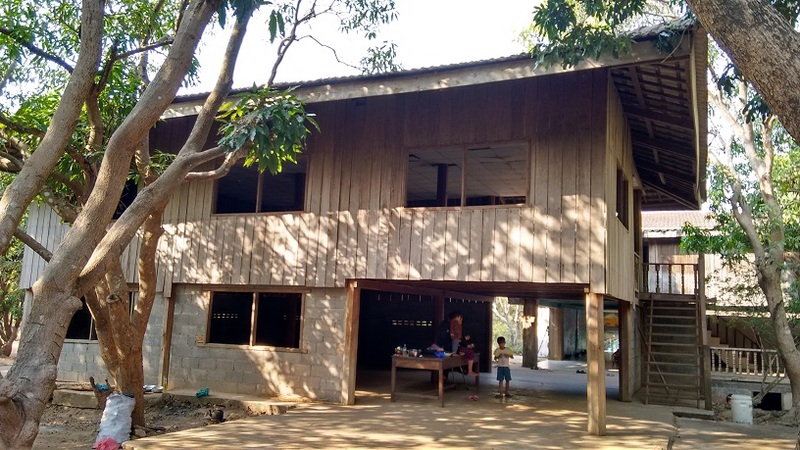 Ta Mok's house in Anlong Veng, on the other hand, is notable for its disproportionate grandness (compared to the poverty all around it) that is still palpable. Higher up on the Dangrek escarpment is Ta Mok's former hillside sanctuary house, with great views over the plains below. “This trip should only be attempted by dirt bike, there is no road from the border to the remains of the KR leaders' former residences. [T]he road [...] would only be passable in the dry season. The area has a heavy military presence and anywhere off the well worn tracks would be walking into a minefield. From Anlong Veng traffic circle (the nearest town) to Pol Pot's mountain retreat is 26kms, the first 16kms is a paved road in good condition. 1km north from the traffic circle is Ta Mok's [aka The Butcher] house, signposted and easy to find. There is a ticket booth 100m from the main road and the entry fee is $2. 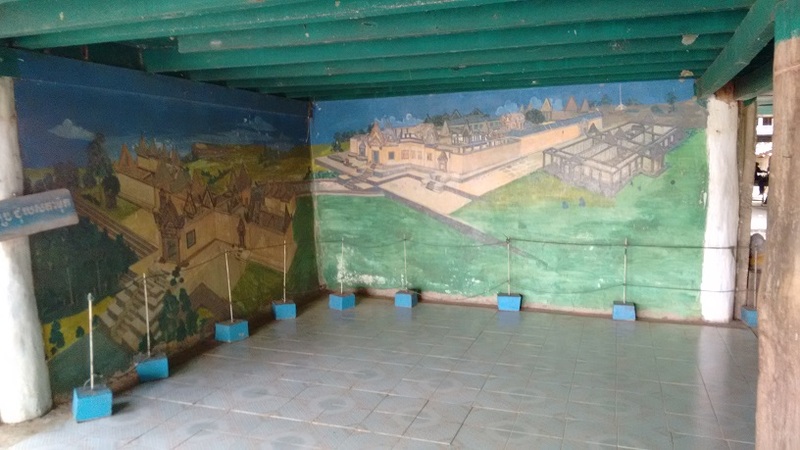 Items of interest are 5 murals painted on the walls inside, 2 cages for keeping prisoners outside and the remains of the Khmer Rouge radio station. Ta Mok was Brother number 5 in the KR regime. From his house the wetlands you can see is Ta Mok’s lake which he had flooded. Barely visible in my photo but right in the center of the lake are the remains of the outbuilding of Pol Pot's Anlong Veng residence. 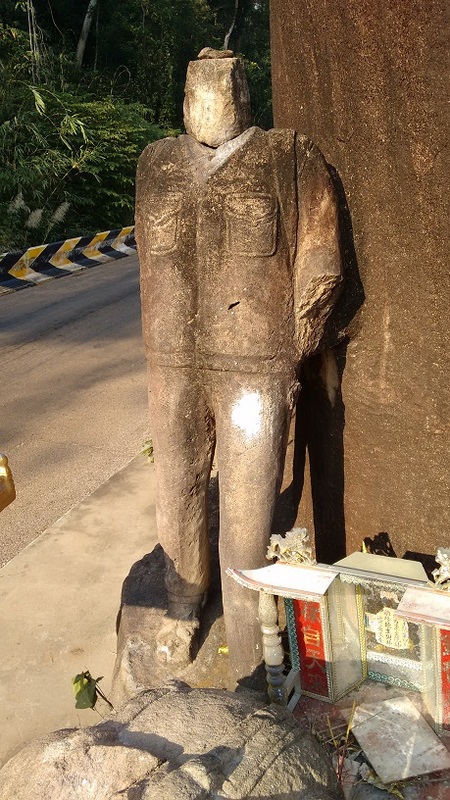 From Ta Mok's grave head north on the main highway to Choam Ksant border. Around 2kms from the border on the hill up to the top of the escarpment are some carvings that were done by a KR soldier and which has now been turned into a shrine. It depicts a local woman carrying a bundle of bamboo on her head and 2 KR cadres in full kit. The 2 KR soldiers were decapitated by government forces in 1998 when they pursued the KR leaders up to the Thai border. Continue on the main highway and 500m before the border there are 2 ministry of tourism signs pointing to Pol Pot's (Brother number one) grave. Turn right here then left after 20 meters. There is a brand new ticket booth being built and I paid $2.50 to get access. This will be turned into a tourist attraction shortly. This is where Pol Pot's show trial took place and where he died of heart failure while under house arrest or by suicide or forced suicide. Back onto the highway towards the border and then turn right down a dirt road and continue for 3kms until you see a sign for Ta Mok's mountain hideout. As you go down the track it is on the left in ruins. 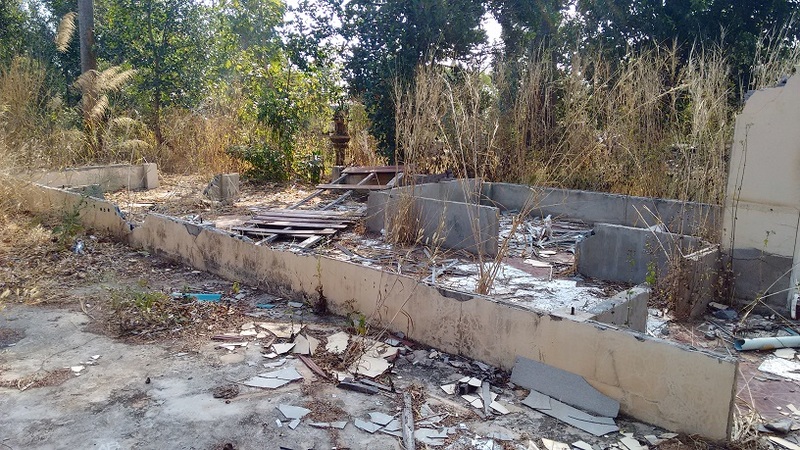 [Nearby] are also the remains of the KR radio station and mast. [...] On the right are the ruins of Son Sen's house. Son Sen (Brother 89) was Deputy Prime Minister responsible for defence and internal security in the Khmer Rouge. Pot Pot had him and 13 members of his family murdered because Son Sen was trying to broker a peace deal with the Government in 1997. The concrete you see is where Pol Pot had their bodies reversed over by pick up trucks. This forced Ta Mok to overthrow Pol Pot and place him under house arrest. 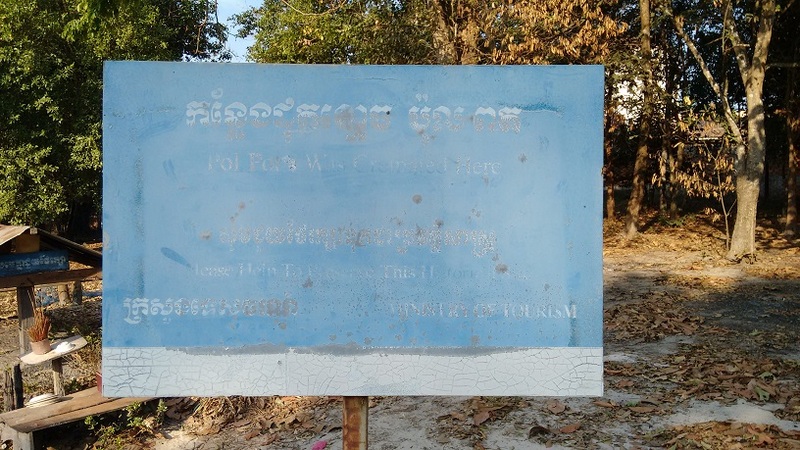 From Ta Mok's house it is a further 6kms along the same track you come to a former KR guardhouse also marked with a ministry of tourism sign. 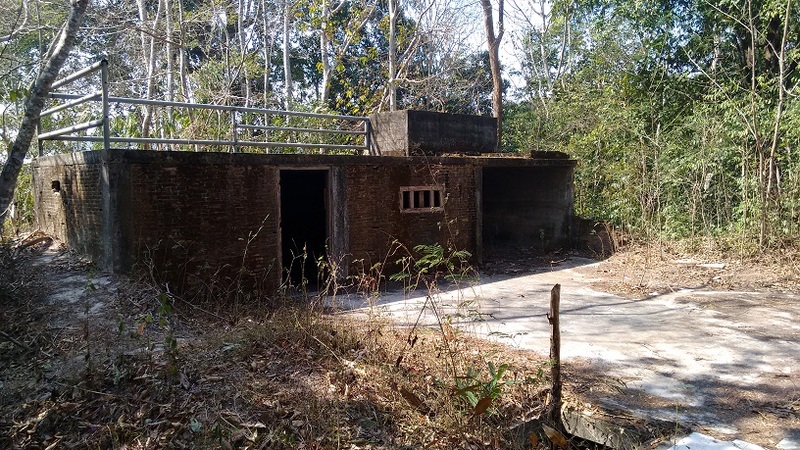 This is the guardhouse for Pol Pot and Khieu Samphan's mountain hideouts. 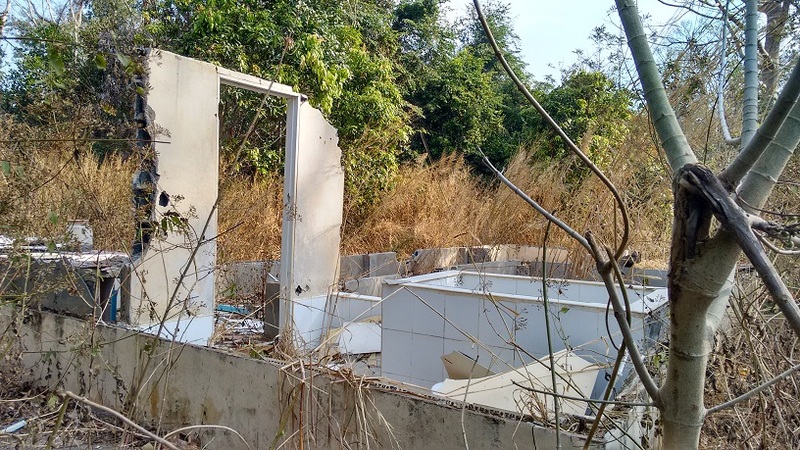 2kms more and a left at the fork in the road brings you to Khieu Samphan's mountain hideout but there is nothing left bar the ministry of tourism sign. A further 500m and a right turn brings you to Pol Pot's mountain retreat, also marked with a barely visible ministry of tourism sign. No fee. Locations: In the far north of Cambodia, some 70-80 miles (110-120 km) of Siem Reap/Angkor Wat, and just south of the border with Thailand. Access and costs: very remote and tricky to get to, but affordable. 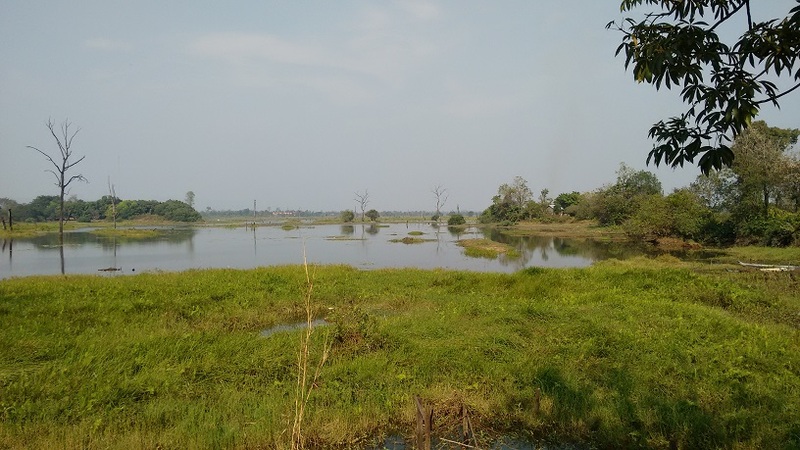 Details: To get to this remote area you could try to hire a vehicle and driver for the journey from Siem Reap. Or go the rough but more flexible way, by motorbike. It's just up the No. 67 road, which runs through Anlong Veng town and up to the Thai border, but the journey can be slow. In good conditions it takes a minimum of two to three hours from Siem Reap, possibly significantly longer. Parts of the more remote tracks may be impassible in the wet season. Theoretically, there's the alternative of getting here from the Thailand side of the border – there's a border crossing point at Choam north of Anlong Veng that also issues visas (if the border is open – best check ahead for the current political climate; since there have been periods of increased tensions between the two countries that may severely restrict cross-border traffic). There are some guesthouses offering tourists accommodation in Anlong Veng – no great luxuries, but OK (and cheap). And new casino resorts have been built here too. To see the local dark sights you could to hire a local guide; few speak more than at best a little English, but they may know their way around these parts. Do not venture off visibly well-trodden paths – the area is still heavily mined! An admission fee to see Ta Mok's residence is charged, the latest I heard was 3 USD. Prices for everything fluctuate and tend to go up drastically with improved tourist access, but as far as I know it's still free to see Pol Pot's "grave" and the other sights mentioned. Accommodation costs and guides' fees have apparently been inflated lately, but you could try and bargain. See the report above for some recent info. 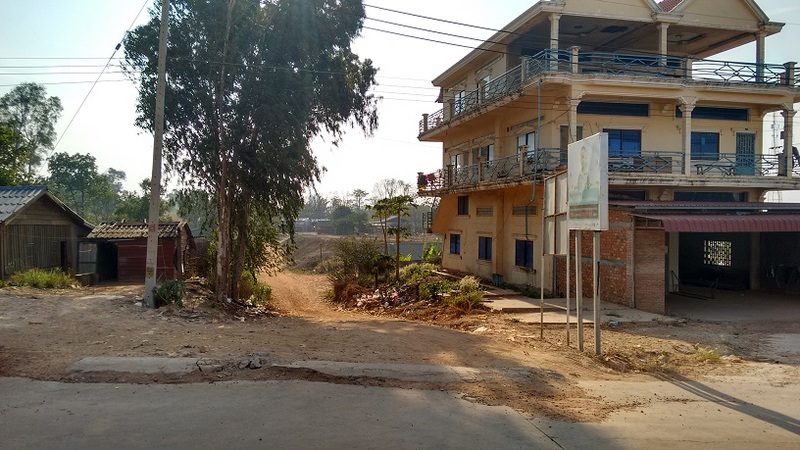 UPDATE 2016: apparently there are plans to develop tourism in Anlong Veng further and many more changes may be afoot, going by this 2015 article in the Phnom Penh Post (external link, opens in new window). Nonetheless, the article also gives very some good background information about the region and its complicated history, but also conveys an impression of how remote and rough the region still is and that it is difficult to see it really being turned into a thriving tourism hub. It does indeed seem unlikely. Time required: Given the difficult access to the area, it's probably best to do the trip from Siem Reap as a two-day excursion with an overnight stay in Anlong Veng (although in ideal conditions it should be possible to do it as a long single day trip, if there are no complications). The sights themselves do not take long to behold, but take into account the distances in this remote area – where everything happens at a slower pace anyway. Combinations with other dark destinations: in general see Cambodia – if doing the trip to Anlong Veng from Siem Reap (most likely), then you will have made for some time there anyway – to see some of the famous temples … I cannot imagine anyone, not even the most single-minded ultra-dark tourist, wanting to give Angkor a miss when in this part of the world! And while there you should make time for the excellent and touching Landmine Museum (actually en route out of Siem Reap north towards the No. 67 cross-country road). 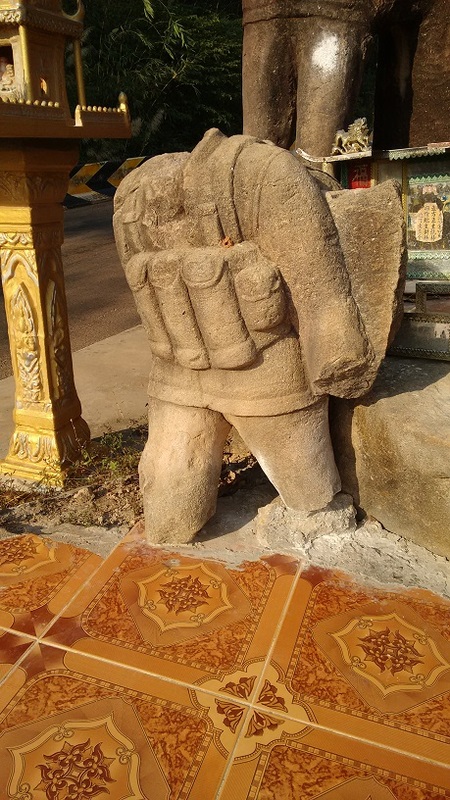 In theory it may also be possible to get to Preah Vihear from Anlong Veng, though it's not straightforward (even if not all that far away), and you'd have to check ahead if it's currently safe to visit Preah Vihear anyway. Combinations with non-dark destinations: Obviously the most likely base from which to make the trek out to Anlong Veng is Siem Reap, better known to the tourist world as the gateway to the famous temple complexes of Angkor, Cambodia's world-class cultural heritage sites – so there's an unmissable combination! It is possible to see the bare minimum highlights of these sprawling sites in a single long day, though it’s better allocate a little more time if you can. The area of Anlong Veng is also generally attractive for its remoteness and exotic un-touched-ness. Naturally, the Dangrek escarpment and the views it affords are well worth taking in independently of the dark sites of the area (though it's unlikely travellers will come only for the views …). 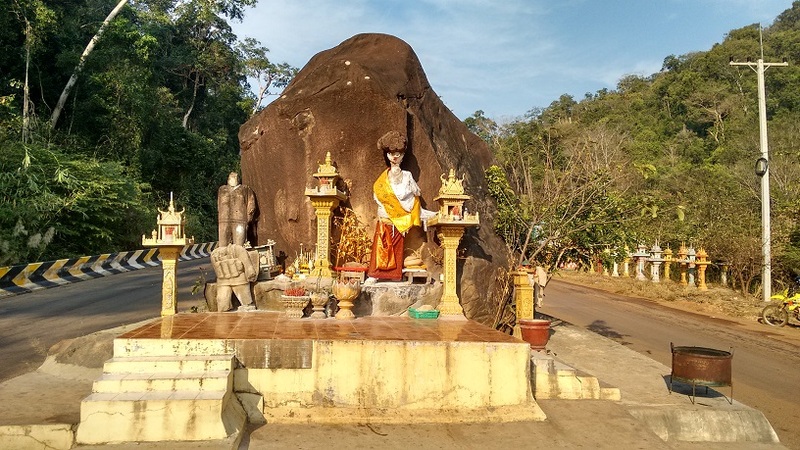 The trip out to Anlong Veng can also be incorporated into a longer, 3-4 day excursion which also takes in the more remote temples of Beng Melea and Koh Ker. The former is a cool alternative (or rather addition) to the famous jungle-clad temple complex of Ta Prohm (of the Lara Croft film-set fame), being far less crowded but offering a similar Lara Croft/Indiana Jones feel to it. While in the case of Koh Ker it's more the sheer remoteness of the site itself that makes it worth it rather than the temples themselves (which just don't compare to Angkor or Ta Prohm and Beng Melea). See also under Landmine Museum and Cambodia in general.